November 02013 will mark the 10th anniversary of the first of Long Now’s monthly Seminars About Long-term Thinking. 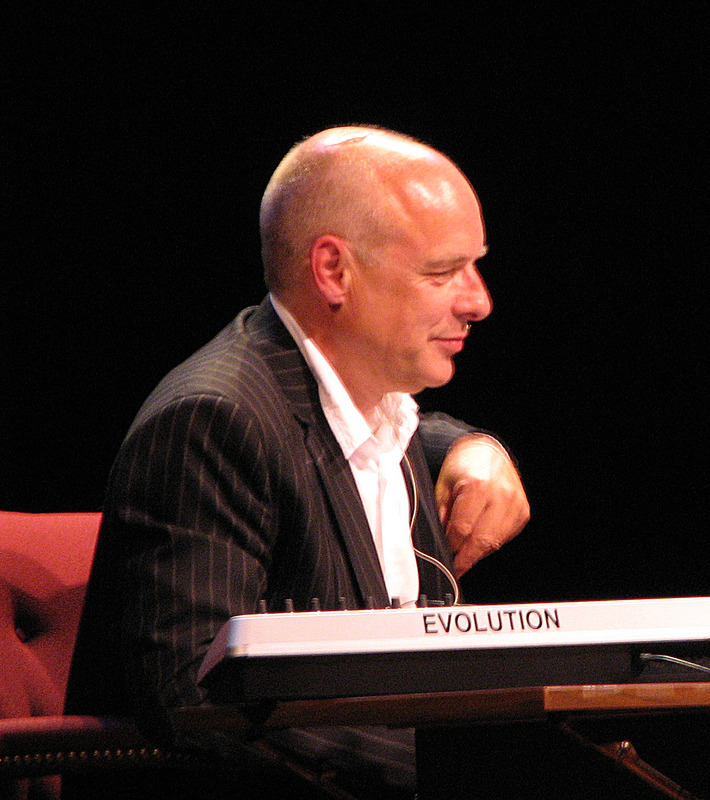 One of our founding board members, Brian Eno, gave that first talk which was entitled “The Long Now” and featured an overview of the Long Now Foundation (already 7 years old at that time) and the events that led to its founding. From the beginning, these talks have inspired conversation – in fact each Seminar ends with an onstage conversation between the speaker and Stewart Brand, including questions submitted by our audience. We have used this format since the very first of our 143 Seminars (and counting!) because our goal is to get you talking about Long-term thinking, not just hearing about it from the lectern. After we moved to Fort Mason Center we sometimes used our Museum & Store space for post-Seminar receptions. This allowed Long Now Members and other attendees to keep the conversation going after a thought-provoking seminar. On those nights, scores of people filled the space between our 10,000 Year Clock prototypes and Rosetta Project displays, standing and drinking wine, animatedly discussing ideas that look forward centuries and millennia. At those receptions and a series of other small lectures and events we held in the Museum space, the idea for The Long Now Salon was born. 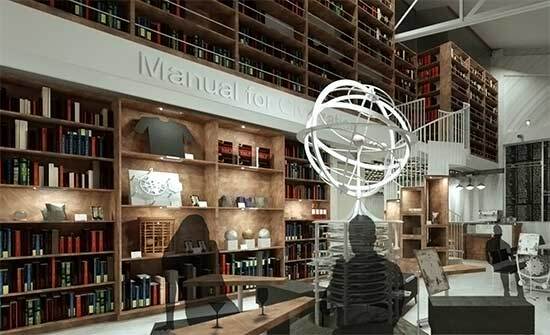 As we contemplated how to inspire the type of thoughtful interactions we hope will fill our new public space, we kept coming back to two historical precedents that developed in conjunction with the European Enlightenment: English coffeehouses and French salons. In their day, both developments represented new, more inclusive realms of public discourse. The heady mixture of reason’s ascendancy and surging coffee imports made for a middle-class intellectual blossoming. The salons of the French Enlightenment don’t generally refer to specific places or venues, but rather events held in a host’s home. 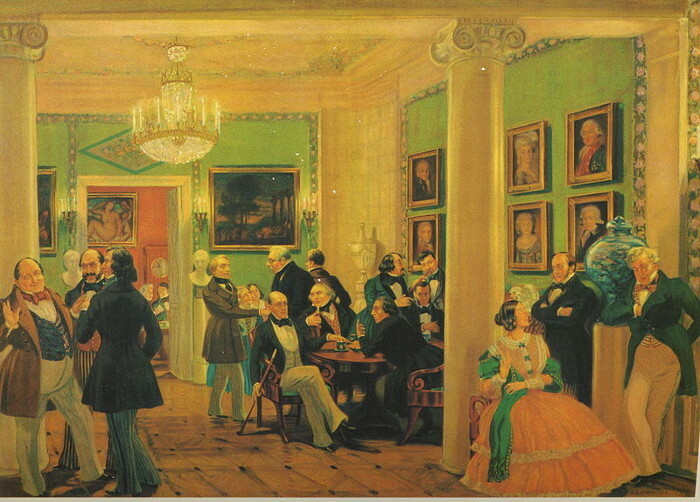 In contrast to the monarchy’s court society, where artists or poets would perform for their patrons and other powerful figures, salons allowed for a more mixed and egalitarian atmosphere where poetry, art, politics or philosophy could be discussed among a wider range of curious citizens. Women often organized and participated in the events, as did artists and intellectuals who would otherwise be unlikely to gain access to aristocratic circles. In this way, ideas were disseminated and exchanged in a newly diverse and networked realm that lay somewhere between the private conversations of individuals and the formal political bureaucracy: the public sphere. Meanwhile, in England a similar process was happening as coffeehouses became a popular alternative to pubs for socializing. 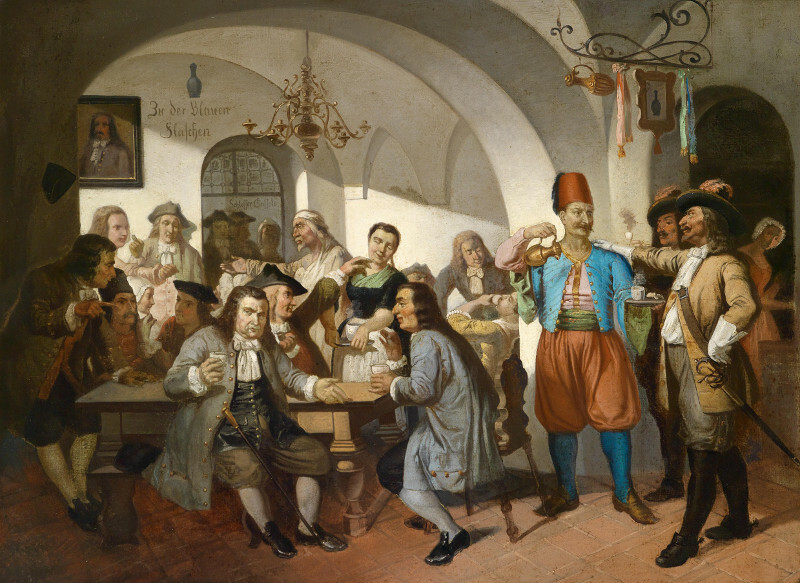 One of the first coffeehouses was established in Oxford, leading to a clientele that consisted of many academics interested in stimulating (and stimulated) intellectual conversation. Visitors could sip coffee or tea and often discussed news and politics. But, because the space was open to the public, as opposed to the university’s chambers, the conversations could include many who weren’t among the cultural elite (though, unlike in the French salons, this openness did not generally extend to women). Many coffeehouses published their own local newspapers, giving rise to a thriving print industry and many posted house rules meant specifically to foster egalitarianism (amongst men), civility and conversation. Like the salons, they supported the development of a thriving community with curious and relatively diverse perspectives where issues of the day could be collectively and publicly discussed. In both of those precedents the Host plays an important role. And as with our lectures and other events, we feel it’s important to create an atmosphere that both inspires conversation and helps develop a sense of community around these important topics. So the design for the physical space, programming, and menu of the Salon began to take shape with that in mind. With tea, coffee, wine, beer, and craft cocktails to get the ideas flowing; an inviting atmosphere that attracts all kinds of curious thinkers; prototypes of the 10,000-year Clock and our Manual for Civilization to frame our interests in long-term thinking; and regular public programs like the SALT talks but smaller and more intimate to bring many minds together – we envision the Salon space will tap into some of the same enlightening characteristics of the salons and coffeehouses of centuries past. We hope you’ll help us build it and we’d love to see you there when it’s done.